I’ve said before (in a previous recipe post) that my favorite flavor is vanilla – so classic, but oh so subtle in its variations. While I generally gravitate toward the lighter, crisper taste of a vanilla bean ice-cream, there are times when only the creamy richness of a French vanilla can satisfy my cravings. And while it may be more lux than its freckled cousin, it is actually easier to make, since no vanilla pod is required. Richness comes from using just the yolks, instead of the whole egg. Another key to success is to use a good quality vanilla extract. It may not seem like much, but believe you me, these two little changes make a whole world of minute difference. 1. In a saucepan, whisk together the milk, sugar, and egg yolks. Cook over low heat, stirring constantly, until mixture slightly thickens, enough to coat the back of a spoon (about 4-6 min). 2. Remove pan from heat, pass the egg mixture through a fine mesh strainer into another medium sauce pan (or large bowl). Stir in the heavy cream and vanilla extract. 3. Cover and refrigerate mixture until chilled, then freeze in an ice-cream maker according to the manufacturer’s directions. 4. Wasn’t that easy? No go eat! 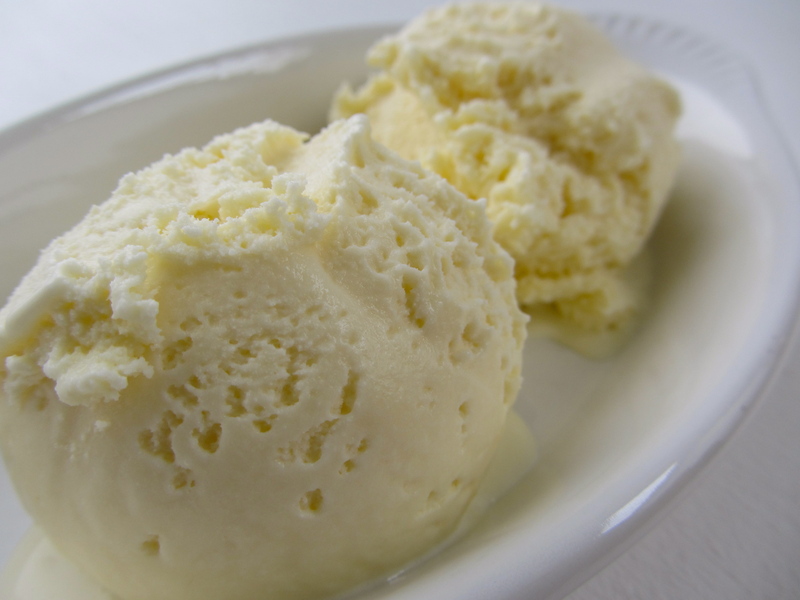 * You can find the recipe for Vanilla Bean Ice-Cream here.